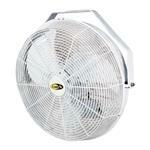 This shutter fan is a durable, agriculture-grade exhaust fan. They are perfect for barn and building peaks, greenhouses, warehouses and many other applications. These fans come with a cord, so it's a "No Electrician Required" installation. 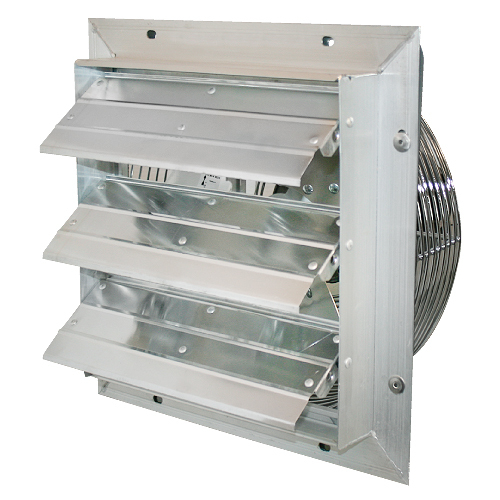 This shutter fan is a durable agriculture grade exhaust fan – perfect for the barn or for building peaks, greenhouses, warehouses and more. These shutter fans come with a cord so it's a "No Electrician Required" installation. Fans ship fully assembled out of the box so you're up and running in no time! Available in 12" or 20"
Shipping: This item ships via UPS or FedEx.